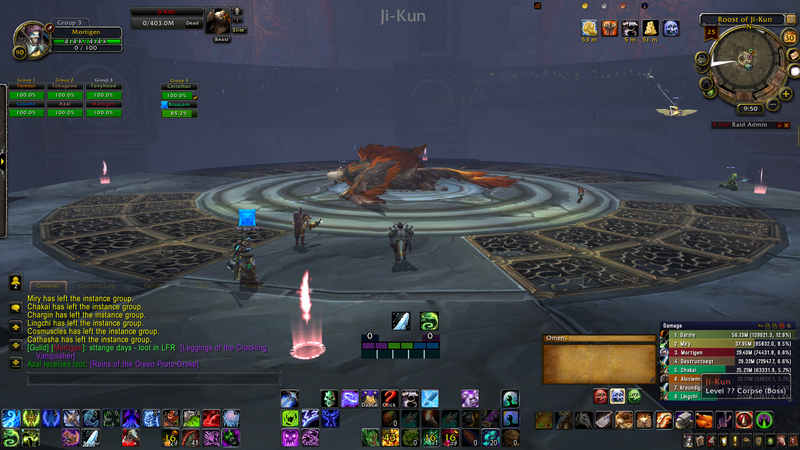 Across a week or so I’ve done some LFRs, and thought I’d share two things – LFR is still a place to be horrified at the sub-human types who feel they are mighty and powerful in World of Warcraft (screenshot #1), and despite my gut feel LFR does grant loot. Sometimes (screenshot #2). Overall I’m going to struggle to raid casually with the Insidious raid team and also get any LFRs done, especially when there are 4x different queues to do. That said, having more choice and more options are better than less, and three bosses in LFR certainly take long enough. 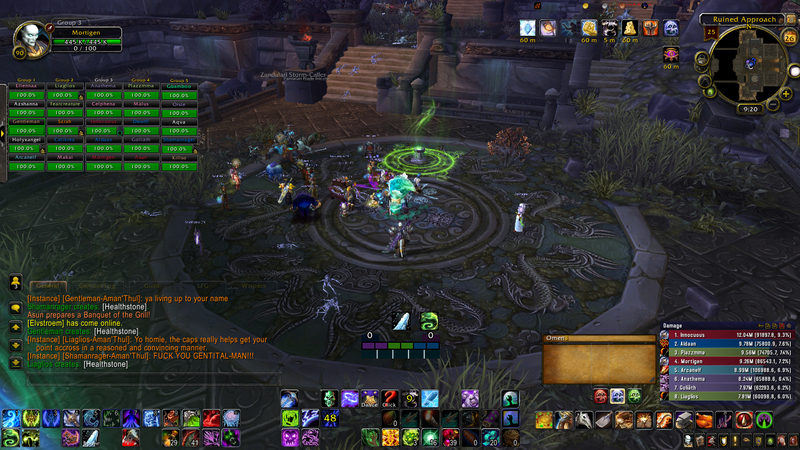 The LFR behaviour is still poor. I won’t retype what the silly angry Shaman said, but it was dismally uninspired as far as insults go. Tier 14 leg token from an LFR run. Wait what? A bit of loot is a nice way to end a run. Thank the LFR gods that the reward was there. My next goal is to get something apart from gold from the coins. This entry was posted in Warcraft and tagged lfr, world of warcraft by Typhoonandrew. Bookmark the permalink.